Bullaces are quite small so they are a lot of work to cut up to remove the stones. If you don’t want to do that you can just heat the plums and pick out the stones as they start to cook. There were so many plums I chose to do it that way. 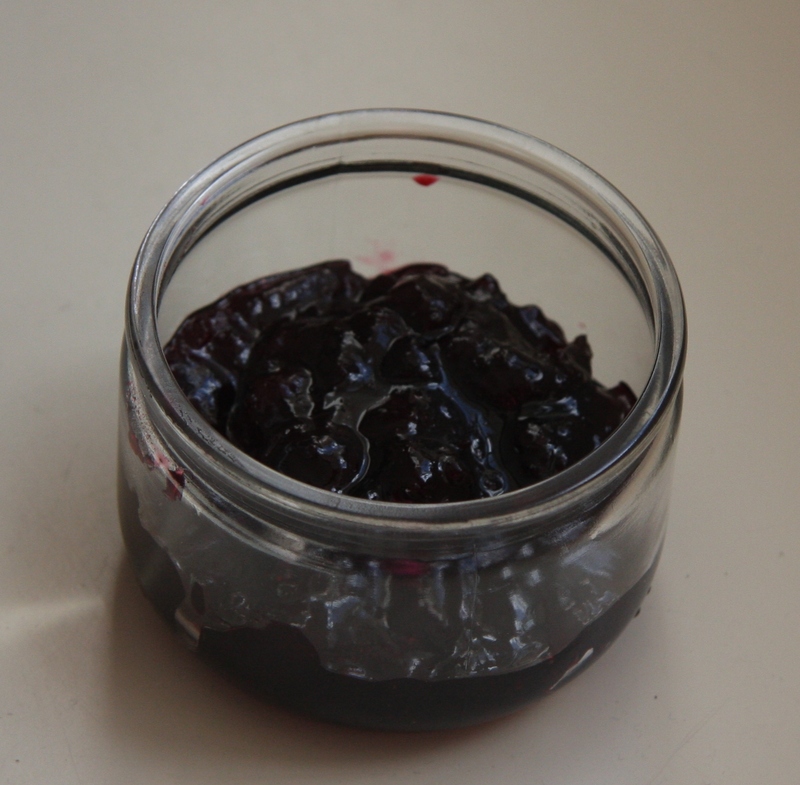 I haven’t found a stone in the jam yet and am hoping that no one else will either… I weighed the fruit and then added the same weight of sugar, along with the juice of a lemon, to turn it into jam. 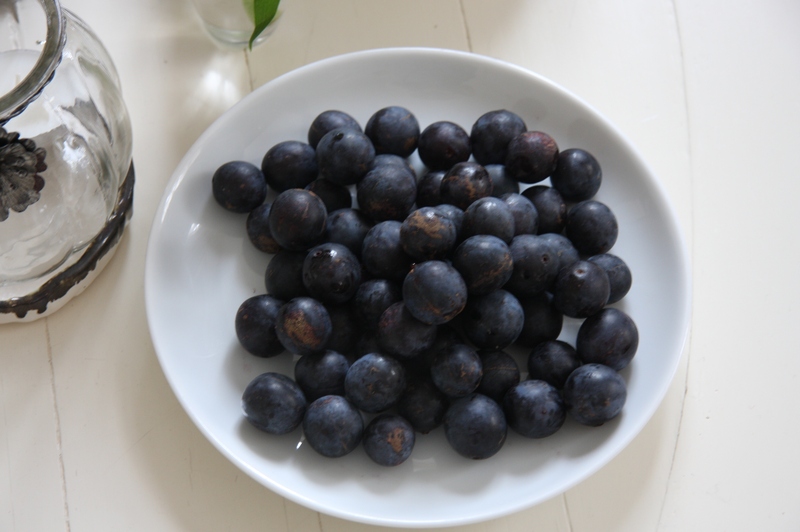 So imagine how happy I was to get some damsons as well this year: the wonderful person who picked them for me had thought they were sloes as they were in the same place: in fact they looked exactly like large sloes. The only giveaway was the fact that they were soft and in my experience sloes are always very hard. A quick taster confirmed that they were plums: I’ve yet to try a sloe and don’t intend to! There weren’t many and they were very small – that’s a side plate they are on – but I managed to turn them into a pot of jam for the person who picked them with a little bit extra for me. They are so tasty and the jam is such a beautiful colour: the photo doesn’t do it justice. I will be on the lookout for that damson tree next year! Homemade jam makes a great gift and if you have picked the fruit yourself it is even more special. And if your friends pick the fruit and you can turn it into jam for them, everyone is a winner! I’m so incredibly jealous. In Australia, you don’t really find any wild fruit anywhere except possibly crab apples… and they’re often in places that are hard to reach! After being in the UK for a month I’ve fallen in love with blackberry picking. It’s amazing that they just grow abundantly in the strangest of places. Must be wonderful to have all that lovely fruit available! It’s great – and I even found some more sloes yesterday so sloe gin here we come! I love to make jam too. I would love have a plum tree nearby me! I’m hoping I can find the same one and more next year! Hi, they look so delicious! Handpicked fruits to make jam, Wow, and to make the homemade gifts of love, simply great!! Lucky are those who receive these treats👍. Hi, thank you very much for your comment. 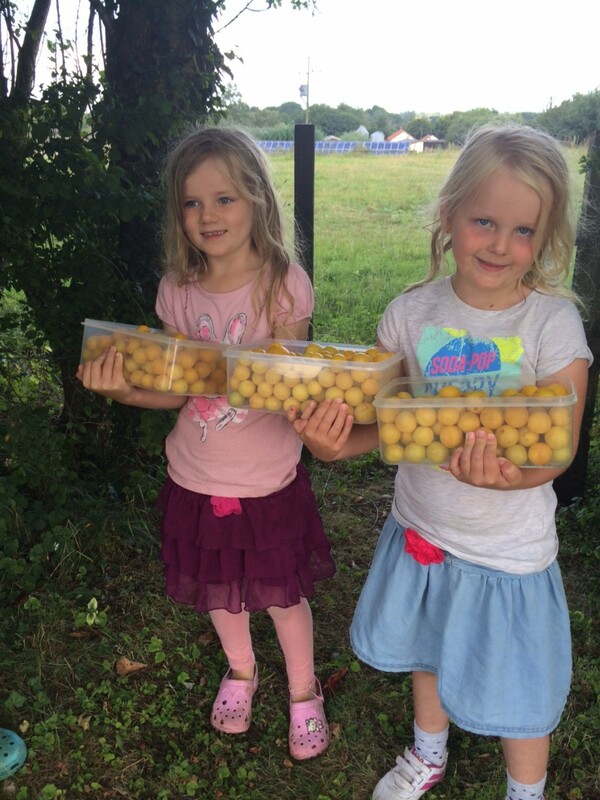 There’s nothing better than finding fruit in the hedgerows! Did you make jam with them? 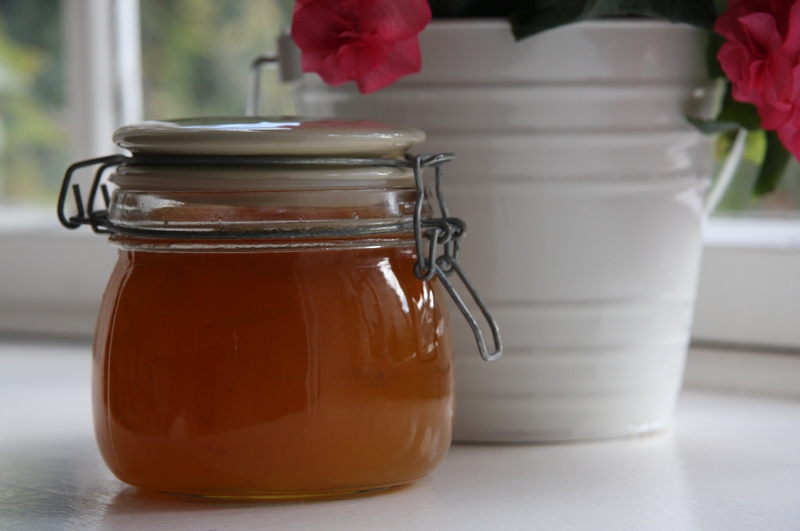 Just made some Crab Apple Jelly, beautiful colour and taste.Only one problem..skimming the ‘scum’ off.My Dad now informs me that this occurs when you add the sugar,, so next time to add a knob of butter and this will stop the scum from forming.Thought I’d share this tip. 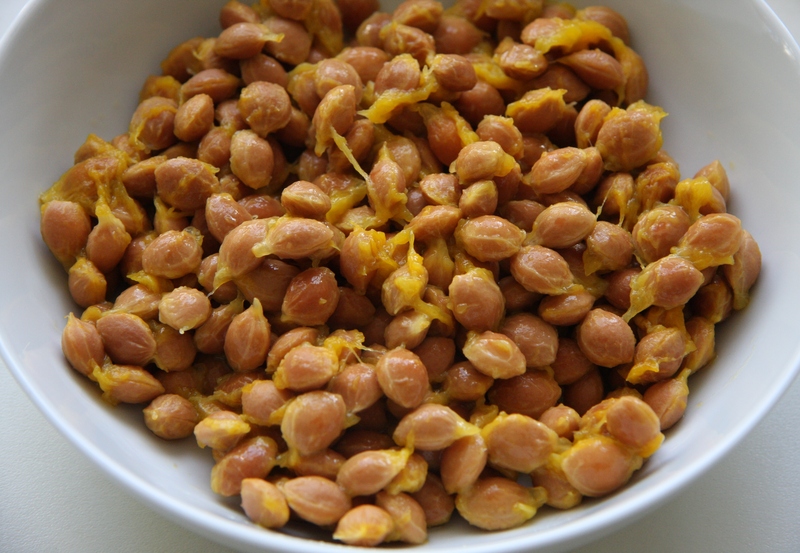 Thank you very much – I have tried the butter trick a couple of times and it’s a good one. Thank you for sharing.